Ellen is the Director, Owner and Founder of Zodiac Swim School and Zodiac Day Camp and Director/Owner of Camp Tamarack. Ellen brings her enthusiasm, creativity, leadership and love of children (including the Howards’ own 3 children, Josh, Jennie and Rebecca) to a wide variety of other roles, including as a physical and health education teacher, a Standards Visitor for the Ontario Camps Association, and member of the Society of Camp Directors and Parks and Recreation Ontario. 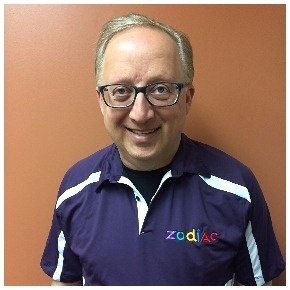 Rick practiced business law for over 10 years, eventually assuming his current position as Director and Owner of Zodiac Day Camp, Zodiac Swim School and Camp Tamarack. Rick’s organizational and business skills, sense of humour and natural ability and effectiveness in dealing with children, staff and parents have also proven successful in Rick’s other experiences as a parent, coach and teacher. Rick is a long-time volunteer and a Past President of the Ontario Camps Association and a member of the Society of Camp Directors. Judy is thrilled to have rejoined the Zodiac Team in 2018 as Marketing & Communications Director after pursuing her MBA and subsequently working as a Brand Marketing Manager for 2 leading global organizations. Judy had previously worked at Zodiac for 10 years, beginning part-time at Zodiac Swim School as a Swim Instructor and Aquatic Supervisor, and then in a full-time role at Zodiac Day Camp as Camp Administrator. Now also a mom of 2 young children, Judy is excited to bring her marketing and communications education and experience back to Zodiac! 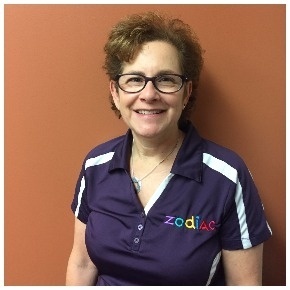 Catrina brings a wealth of experience to Zodiac, having spent over 18 years in both private and public aquatic and recreation programs. She has been active in developing leadership and aquatic risk management programs, including as a member of the Lifesaving Society’s competition committee. 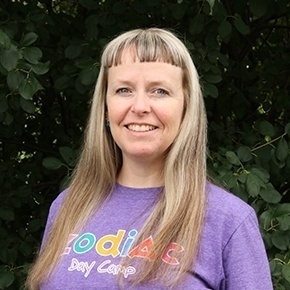 Her experience as a parent, teacher, supervisor, former competitor and volunteer (with Scouts Canada) has made her a valuable asset to Zodiac’s students and staff since 2007. Catrina is a member of Parks and Recreation Ontario. Christina joined the Zodiac team in September of 2008 after graduating from the University of Waterloo's Recreation and Leisure Program. While working at Zodiac, Christina has held different roles highlighting her aquatic background. She has worked as the Zodiac-TFS In School Supervisor, Director of the swim program for Zodiac Day Camp and has taught and examined Aquatic Leadership courses. 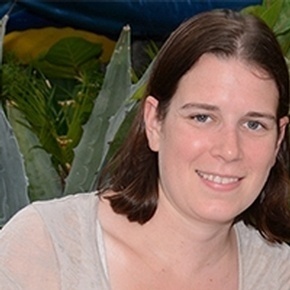 In June 2012, Christina took an extended leave to stay home with her new daughter. She rejoined the team as Zodiac's Swim Administrator in April of 2016 and now helps provide quality customer service to all Zodiac Clients. Katie joined the Zodiac team in August 2012. She brings enthusiasm and a love of working with children and youth to the role. She has a B.A. in Recreation and Leisure Studies as well as previous experience in supervision and team leadership. After 3.5 years supervising with Zodiac Swim School and co-directing the swim program for Zodiac Day Camp and 2.5 years as the Camp Administrator for Zodiac Day Camp, Katie made the transition back to the Swim School as the full-time Aquatic Coordinator. 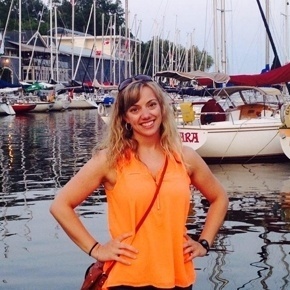 Katie’s experience as a swim instructor, supervisor, and advanced leadership instructor in First Aid, Water Safety, Lifesaving, and Swim Instructor courses and experience leading/coordinating staff training sessions make her an asset to this role. Lauren brings a passion for aquatics and a love of working with children and adults to her role as a full-time Aquatic Supervisor. 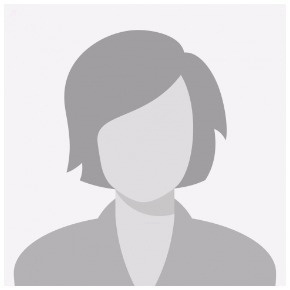 She has a diploma in Recreation and Leisure and worked for a time as a Correctional Officer. Lauren possesses a wide variety and extensive experience in the areas of aquatic leadership, first aid, aquafit, competitive swimming and coaching. 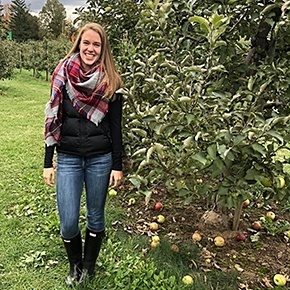 During past summers, Lauren has had the opportunity to take on the role of swim director for both Zodiac Day Camp and Camp Tamarack's swim program. 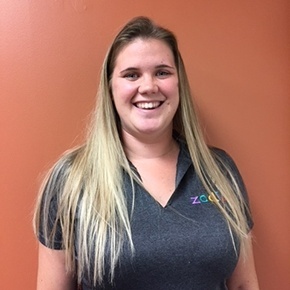 Her ability to make great connections with her students, staff and parents as well as her mentoring and problem solving skills make her an asset to Zodiac's Aquatic Supervising team. Narelle joined the Zodiac Aquatic Supervising team in the beginning of 2019. She brings with her over 6 years of aquatic experience from the City of Burlington, where she was a Senior Lifeguard. She has a diploma from Mohawk College in Recreation and Leisure. She also has a degree from Brock University in Recreation and Leisure Studies with a major focused on Community Recreation with a minor in Business. Originally from India, Chintal came to Canada in 2002. She has a degree in Psychology and a diploma in Computer Education. After swimming competitively for years, Chintal combined her love of swimming with her love of working with children and joined Zodiac Swim School in 2013 as a Swim Instructor. In 2018, Chintal expanded her role at Zodiac and joined the Aquatic Supervising team as an Aquatic Supervisor as well as an instructor for the TFS In-School Aquatic Program. Sophie joined the Zodiac Aquatic Supervising team in 2018. She has worked in the aquatic community since 2012, teaching swimming lessons and running a variety of programs. Sophie worked at Camp Tamarack for the past 6 years where she was the co-head of swimming for the past 3 years. 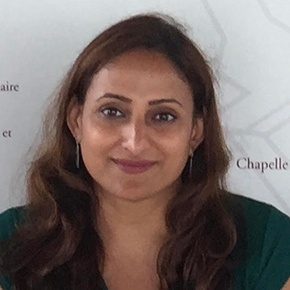 Her experiences in Toronto, Bracebridge and London Ontario have provided her with extensive experience working with children of all ages and special populations. 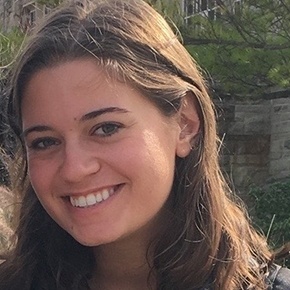 Brenna joined the Zodiac Aquatic Supervising team in Winter 2019. She grew up with younger siblings, and they inspired her to want to work with children. Brenna has been in aquatics and first aid for over 7 years, training and working in both Canada and Australia. Prior to Zodiac Swim School, Brenna spent 3 years working in campus recreation at York University as a swim instructor and lifeguard, and was recently awarded Lifeguard of the Year. 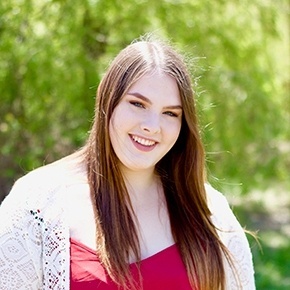 Brenna is currently studying at York University, pursuing a Bachelor of Arts in Psychology. Brenna’s ambition is to continue her education to become a Clinical Developmental Psychologist. In her spare time Brenna enjoys singing, photography, swimming, and travelling!